Jeff Rutagengwa, Eric Ndorunkundiye, Jean Marie Vianney Nkurikiyinka et al. After stealing a machete from a market in Kigali, Munyurangabo and his friend, Sangwa, leave the city on a journey tied to their pasts. Munyurangabo wants justice for his parents who were killed in the genocide, and Sangwa wants to visit the home he deserted years ago. Though they plan to visit Sangwa's home for just a few hours, the boys stay for several days. 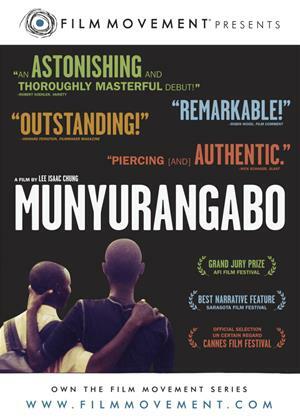 From two separate tribes, their friendship is tested when Sangwa's wary parents disapprove of Munyurangabo, warning that "Hutus and Tutsis are supposed to be enemies".